"Lewis said he didn't expect to come here gaining ten points, we probably didn’t come here expecting to lose ten points – but, having had the race that we had, I think there’s a full justification for losing those ten points and we take it." Sebastian Vettel summarised the mood in the Ferrari camp after they failed to close the championship gaps to Lewis Hamilton and Mercedes at the Singapore Grand Prix, a circuit where Ferrari were expected to flourish. 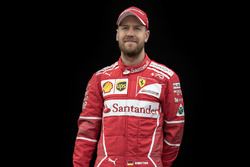 Going into the weekend, all signs pointed to Vettel being able to reduce Hamilton's 30-point lead in the drivers' standings; he'd claimed four wins and four pole positions at the Marina Bay Circuit, Ferrari had been front-runners in two of the last three seasons at the venue and it was widely recognised as something of a bogey track for Mercedes. However, a stellar qualifying lap from Hamilton put the Mercedes on pole position and in the ideal location to dictate the pace of the event. Vettel moved up from third to second on the opening lap, but an aggressive tyre strategy backfired and he fell back behind Verstappen into third place. Afterwards, Vettel defended the attempts at trying an alternative tyre strategy, but believed the Singapore Grand Prix damage was done during the qualifying hour. "I will always defend the team," said Vettel. "I think the decision we took in the race, the decisions to try to be aggressive, if it works it’s great, today it didn't work. Obviously it didn’t work by quite a bit and we need to look into that. But I believe we saw something and that’s why we go for it. “Mercedes obviously got everything together yesterday [qualifying] – credit to them, but on a track like this we didn’t have a clean qualifying, so it’s difficult to say where we could have been. “I don’t think yesterday [qualifying] we were chanceless. I think we could have gone a lot quicker and a lot faster than we did. We didn’t do it so we had to try something from third and unfortunately we couldn’t make up any ground. "Overall, we had a very strong package, both Kimi and myself, I think we looked very competitive throughout practice but in the end if you look at the race result we finished third and fifth. Like yesterday [qualifying], probably not where the speed of our car belongs so that’s what I mean by saying we didn’t get everything out of ourselves." Is the challenge too big for Vettel? The 40-point difference means that Hamilton can now afford to concede a win and a third place (or two second places) - without response - and still maintain the lead in the drivers' standings. Since the introduction of the latest points system (from 2010 onward), no driver has ever been 40 points or more adrift with six races to go and gone on to take the title. That's not to say that impressive comebacks haven't happened, and Vettel has certainly had to mount serious fightbacks in order to claim championships. Back in 2010, Vettel - fresh from his race-hampering collision with McLaren's Jenson Button - had to claw back a 31-point deficit to in order to take his first world title. However, his quest for the title would've been aided by there being more than two championship challengers who would spend the next few races taking points from one another. He had a similar amount of points to make up in his title-winning 2012 campaign. This time, the ultra-competitive season turned into a fight between himself and Ferrari's Fernando Alonso, although few doubted that Vettel's Red Bull car was the fastest on the grid. After retiring at the Italian Grand Prix, he fell to 39 points away from the championship lead with seven rounds to go, and reduced the gap to 29 points with six to go after a race-winning Singapore Grand Prix. Going further back, Vettel will need to take inspiration from his own Ferrari team-mate for an example of a greater comeback with six races to go. In the combative 2007 season, Kimi Raikkonen fell to a full two wins (20 points, back under the old points system where a win was worth ten points) behind in the championship race with six rounds to go. However, a strong end to the season - combined with the internal squabbles at McLaren - allowed the Finn to take the title by one point at the final round. Prior to that, in 1981 Brabham's Nelson Piquet had to overcome a seventeen-point advantage to Williams' Carlos Reutemann with six rounds to go (back when a win was worth only nine points). In a season which had seven different winners, three drivers were in championship contention at the final round at Caesars Palace (the third contender being Jacques Laffite), with Piquet taking the title by one point despite only finishing in fifth place. As things stand, the fate of Vettel's championship challenge is still in his own hands. In other words, if he completes the unlikely task of winning the remaining six races, then he will be world champion regardless of Hamilton's results. However, if the next race in Russia also goes Hamilton's way, then the Briton will be able to finish second to Vettel in the final five races and still take the title. In a championship which is becoming increasingly defined by Hamilton's ability to make the most of the opportunities that have fallen his way, Vettel needs an immediate response in order to complete what would be - statistically - one of the greatest championship fightbacks in Formula One history. Do you think Vettel can close up the gap to Hamilton in the remaining six races, or do you think the championship is Hamilton's to lose? Leave your thoughts in the section below.